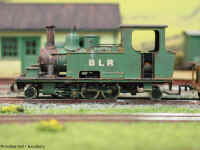 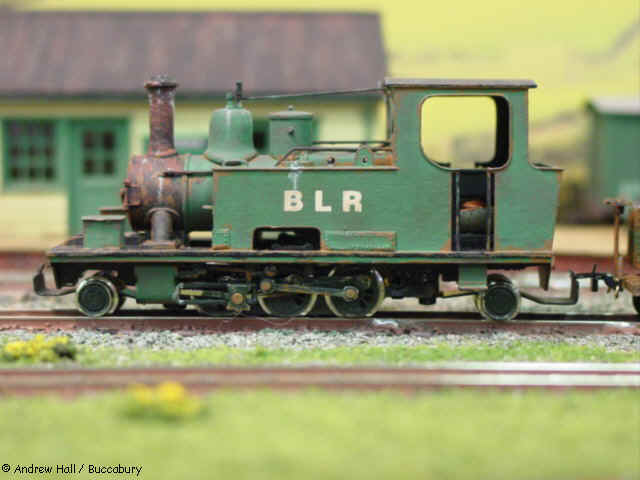 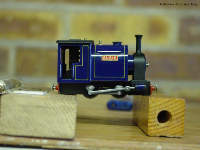 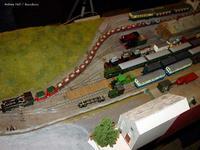 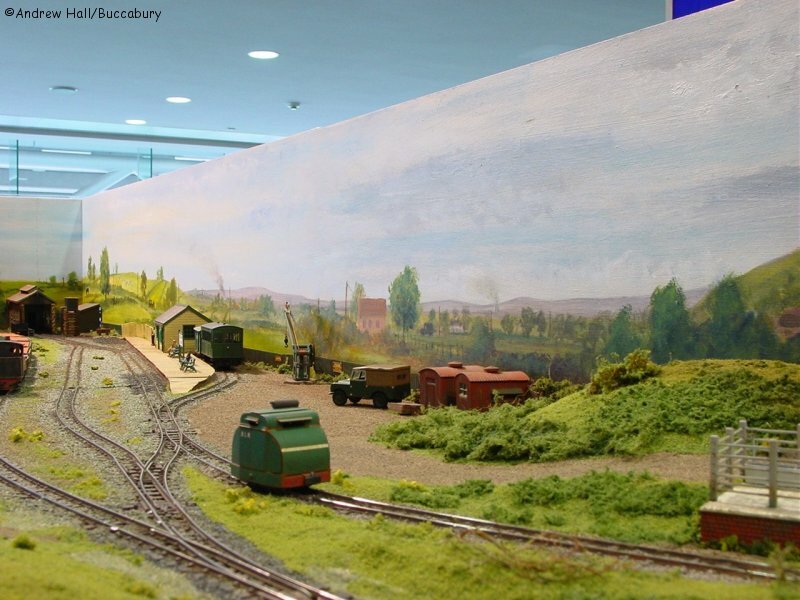 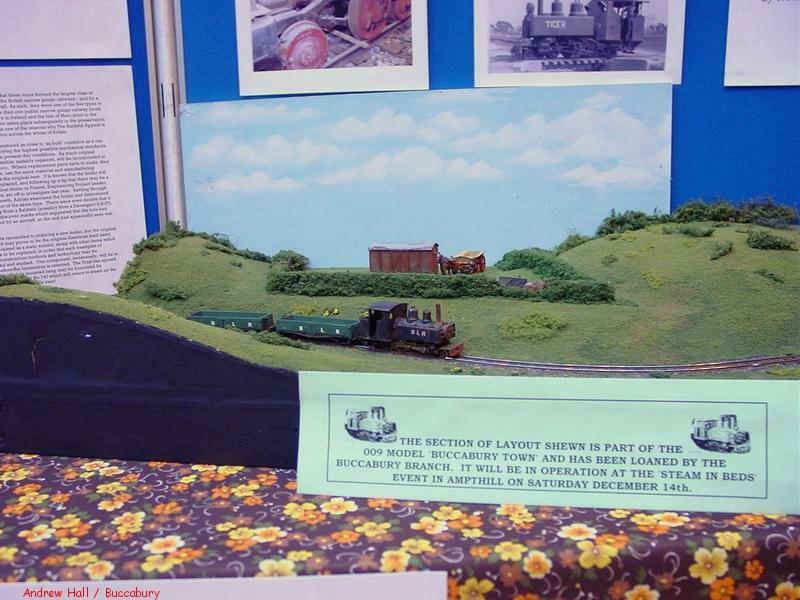 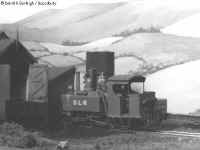 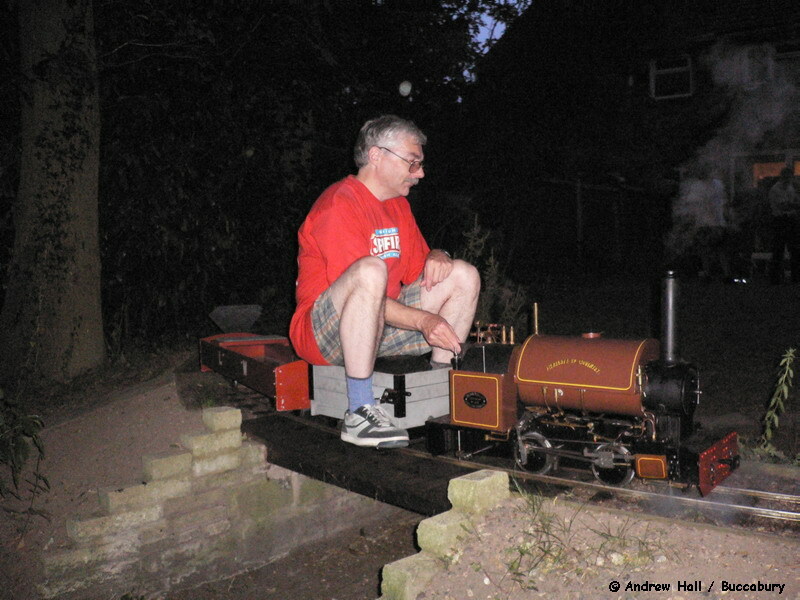 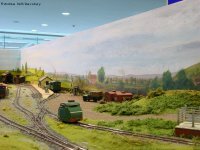 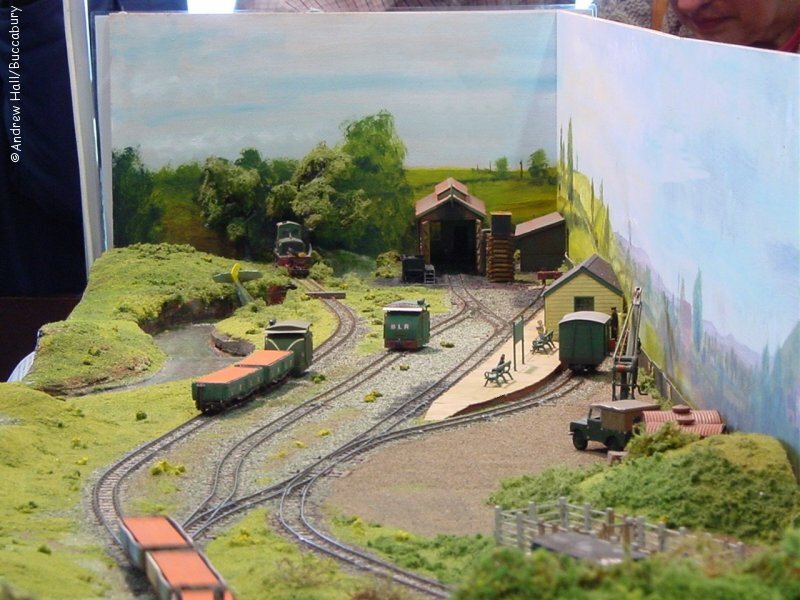 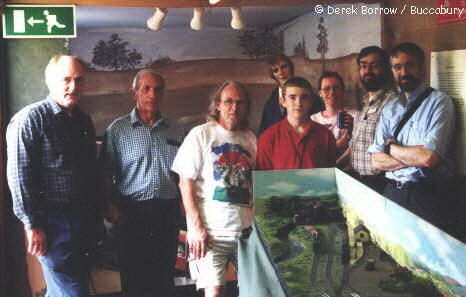 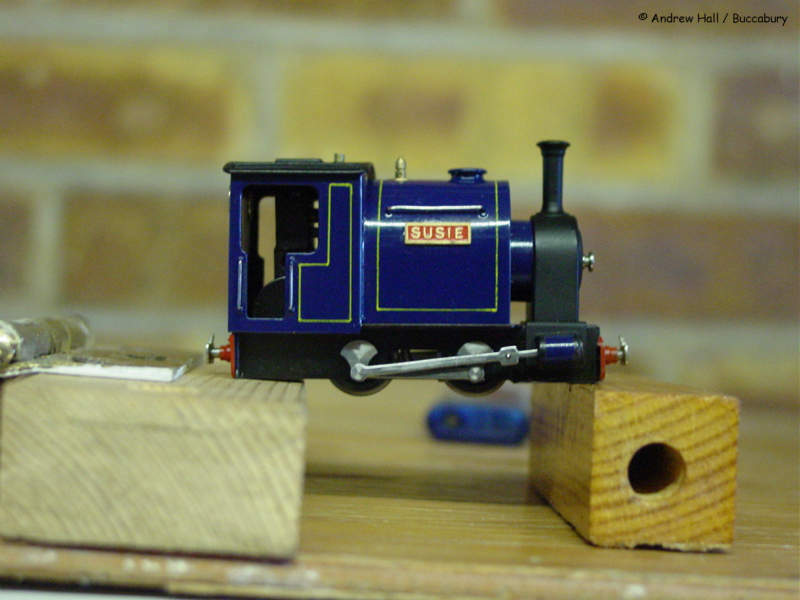 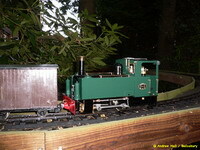 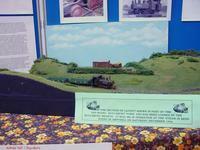 BUCCABURY LIGHT RAILWAY, Picture Gallery. 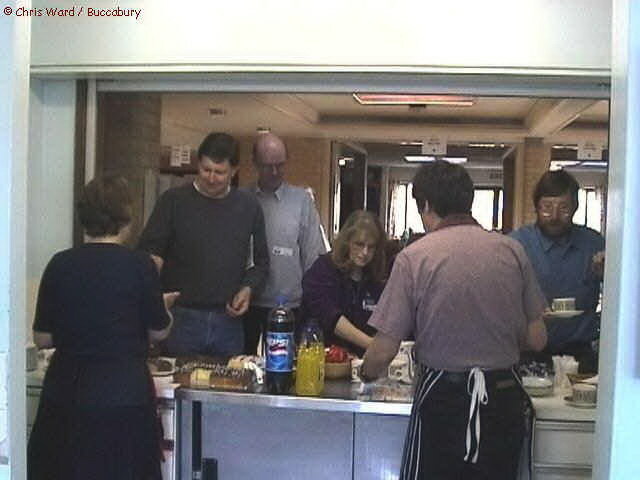 The first ever outing of Buccabury Town at the "We Don't Live in Wiltshire" open day. 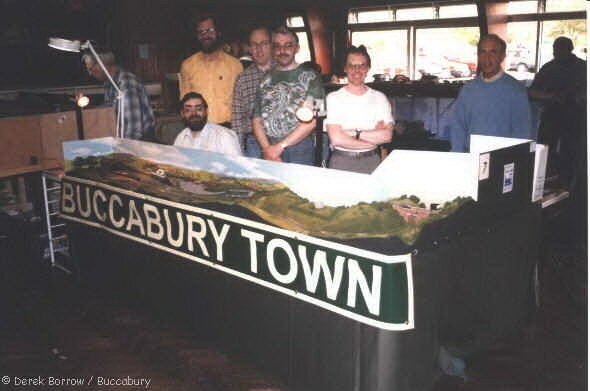 Newbury, 13th September 1997. 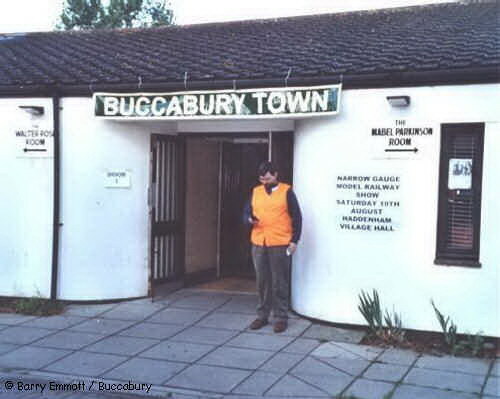 Leighton Buzzard, 2nd July 2000.
but it sure felt like it at the end of the day. 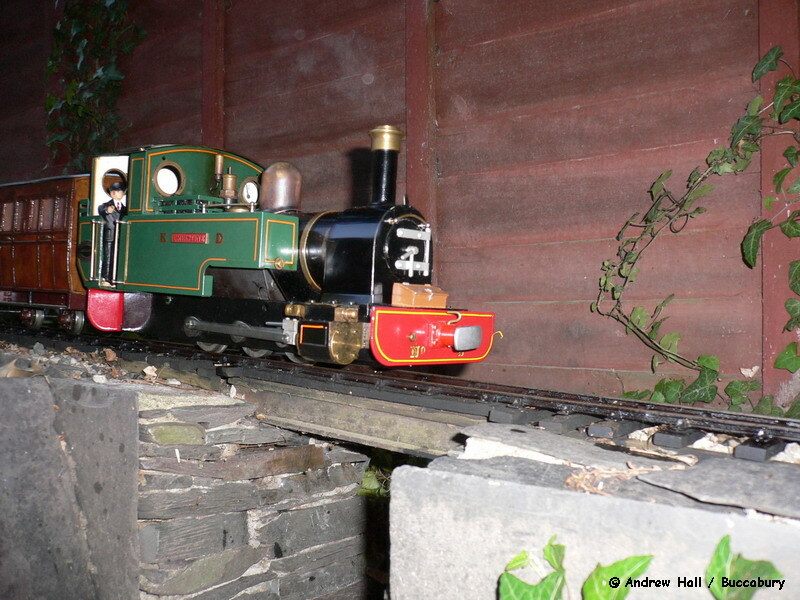 Egger-Ex and the grand tipper shunt." Buccabury Town at Letchworth November 2004. 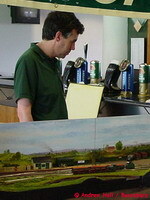 York Model Railway Show 2004.
with a Baldwin on shed. with a train for the Brickworks. 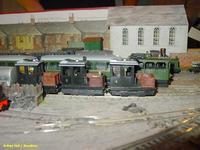 arrives with another train of brick wagons. trains can return to the brickworks. 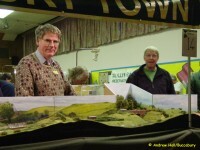 Museum - Baldwin Appeal stand. 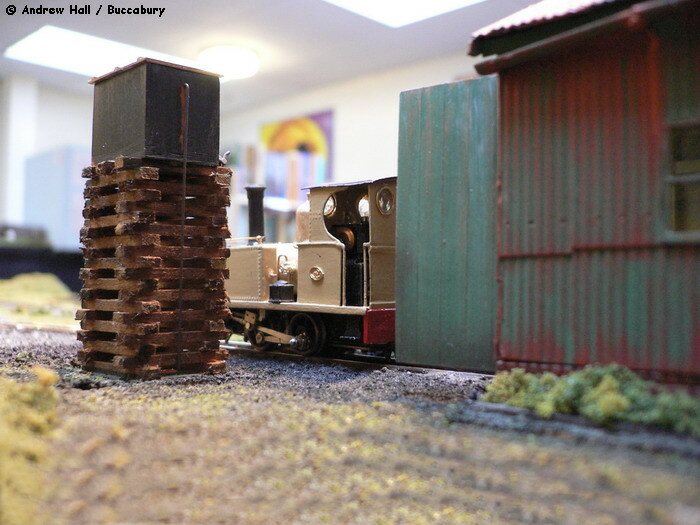 showing off the new backscene. 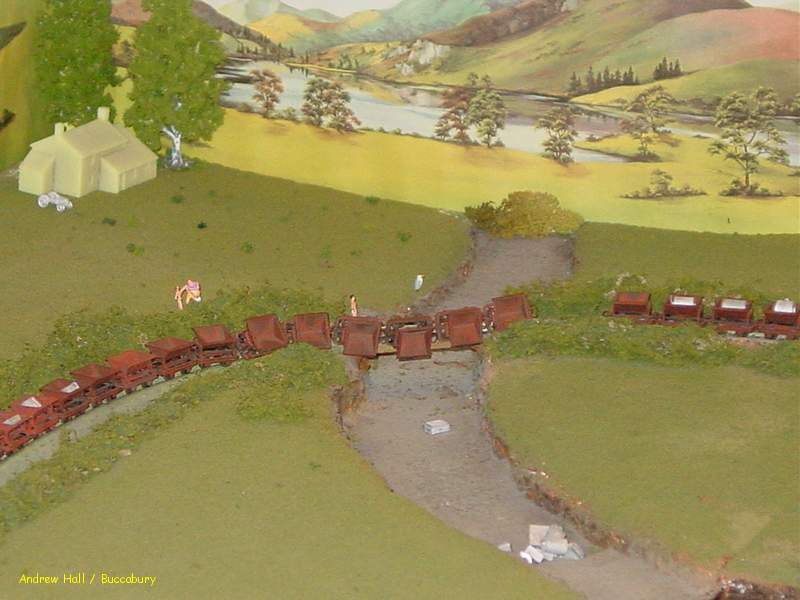 cattle dock. 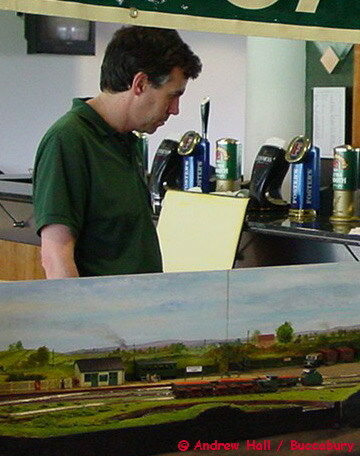 York Model Railway Show 2004. Shed, with a visiting loco on shed. 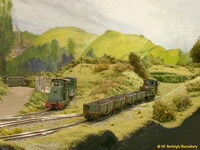 SW Herts Model Railway Show, April 2005. A rare shot of the original 'short' layout, through the bridge. 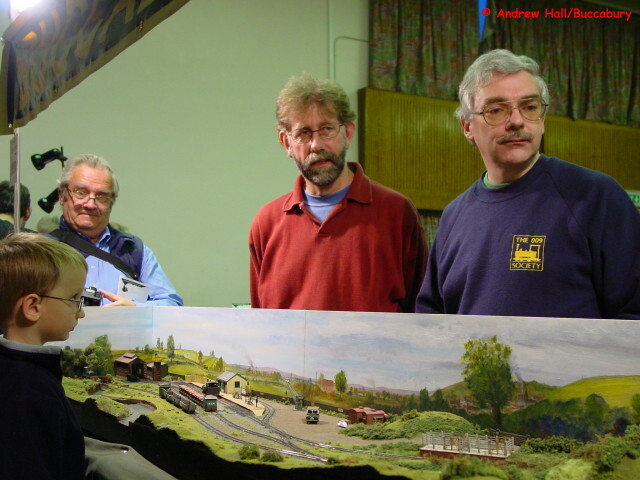 SW Herts Model Railway Show, April 2005. 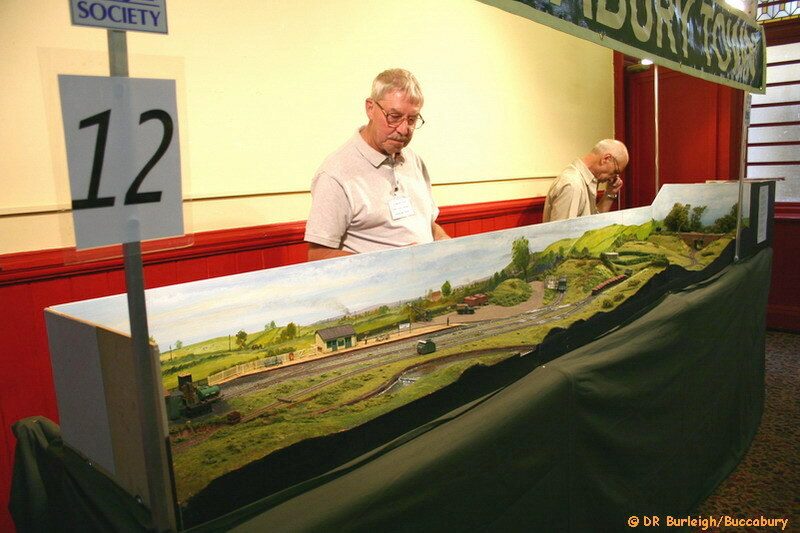 St.Margaret's Church Hall Model Railway Show, July 2005. 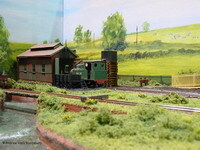 Simplex 2217 passes the Pill Box over looking the junction. 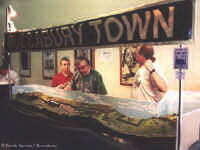 St.Margaret's Church Hall Model Railway Show, July 2005. 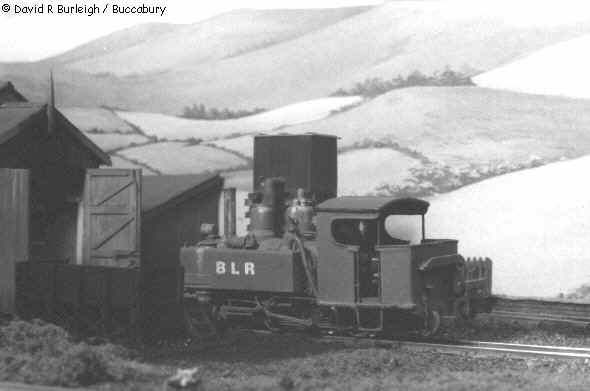 The Hunslet 2-6-2T pauses whilst shunting whilst Kerr Stuart 'Ole Roy' waits by the cattle dock. 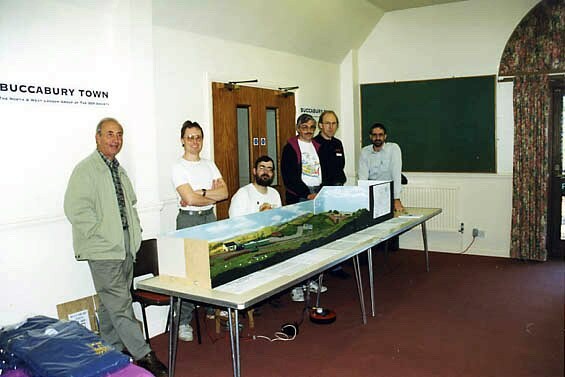 St.Margaret's Church Hall Model Railway Show, July 2005. "Three Fours" A trio of Egger works diesels on D.R.Burleigh's Llanmynach Layout. 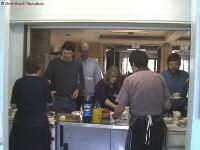 Egger Ex, Mill Hill 2002. 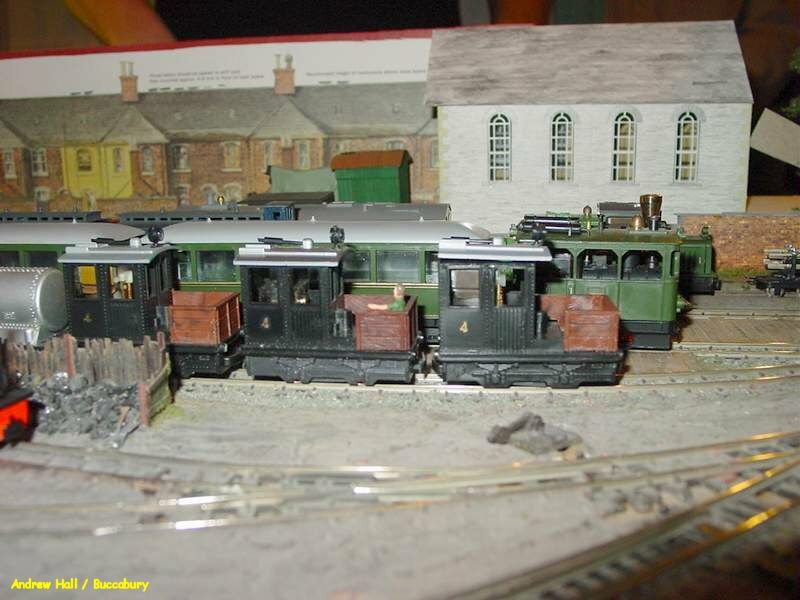 106 Egger and Roco wagons. 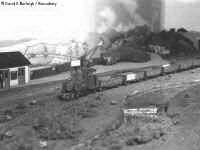 The end of the tippershunt when some dropped into the riverbed, at the time there where 116 Egger and Roco wagons in the train. 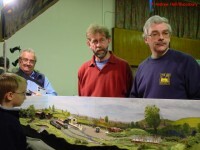 shown larger than real life. 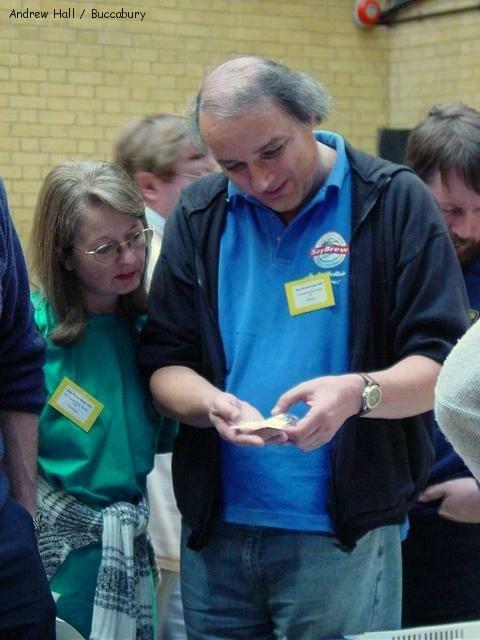 the 2003 price was 650 GB Pounds. (The conversation is in reference to the 5"
gauge Bagnall, outside in the garden/yard). 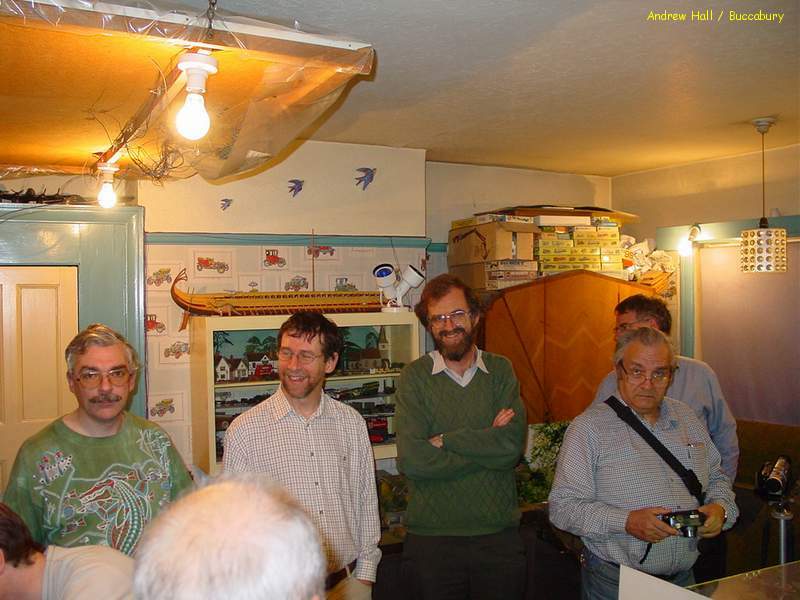 Note this is a 2Meg file so it may take a while to load. 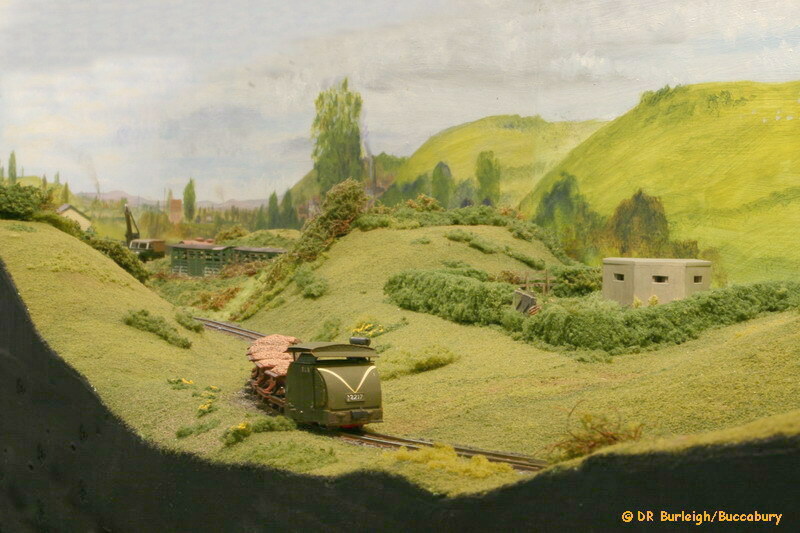 the bottom of the garden in Beconsfield. 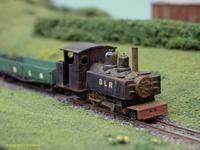 calvert on the 16mm line in Beconsfield.